Imagery of some of the only non-invert friends I keep. Here's a small male, just under one year of age. Is he a skink? What species is he? The species is on the photograph, Corucia zebrata zebrata. 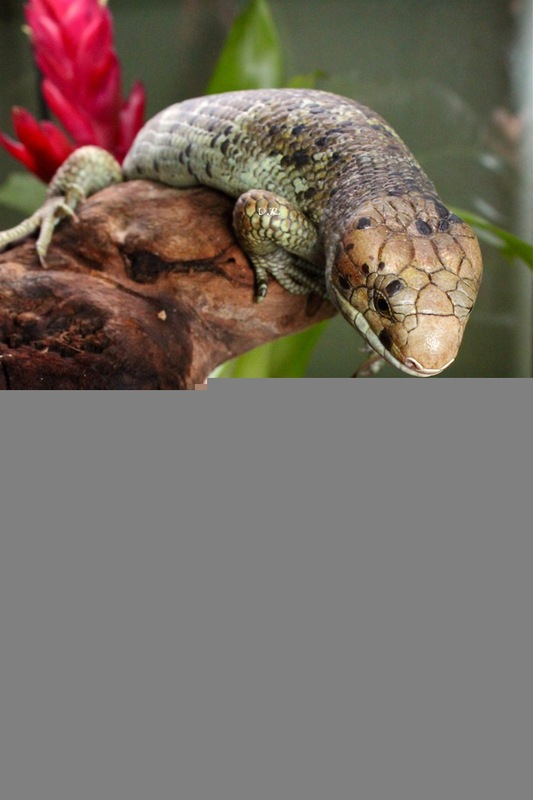 They are commonly known as "monkey tail skinks" or "Solomon island skinks". As the common name suggests, one peculiar characteristic is their prehensile tail. Gotta love these awesome guys. He still has his belly button? That is cute. It would be cool to see a photo of it. Sometimes, I find young anoles with their umbilical stubs still in place, but after they get older, I have to look for the belly button. It is still there but hard to see. This is my young male. I have a breeding size female, but it will be at least a year or two for me to attempt any breeding. These were acquired through a great friend whom breeds them quite honestly, constantly. I am saving up to buy a couple more and make a larger group. someday.